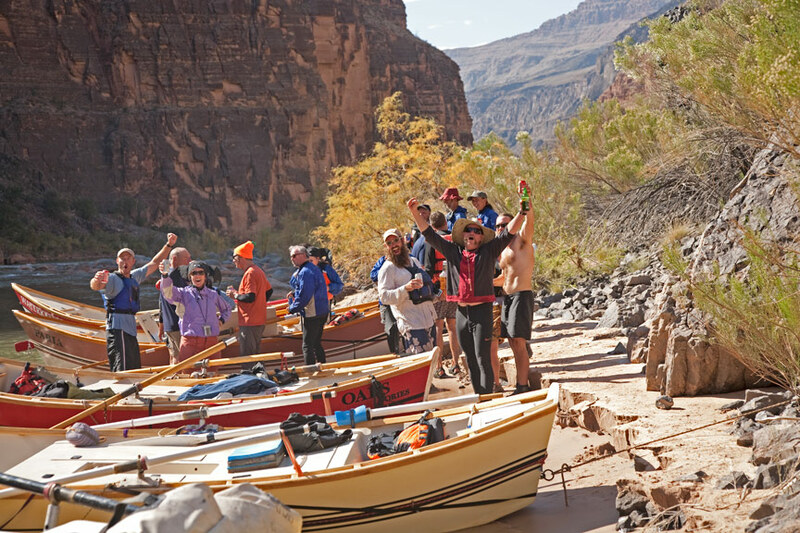 At nearly 6,000 feet deep, you could stack four Empire State Buildings within the deepest part of the Grand Canyon and still have some room to spare. How can you not want to see it from the river after that mind-boggling stat? 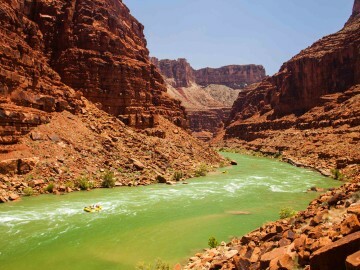 Thelma and Louise famously drive their car off a cliff into the Grand Canyon, but at least 15 other Hollywood favorites like National Lampoon’s Vacation, Into the Wild and Transformers also give screen time to this iconic location. 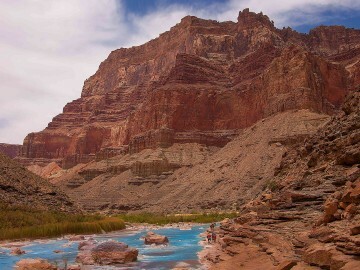 Nearly two billion years of the Earth’s geological history has been exposed in the Grand Canyon as the Colorado River and its tributaries cut their channels through layer after layer of rock. But sorry dino hunters, you won’t find any bones here. This geologic paradise is so old that it predates our dinosaur friends. The beach below the canyon’s infamous Lava Falls is unofficially called “Tequila Beach.” You can probably guess why. 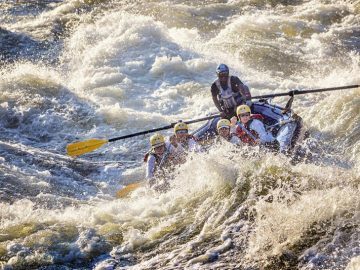 Celebrations are mandatory after rafting through this doozy. 800 million gallons of water (per hour!) 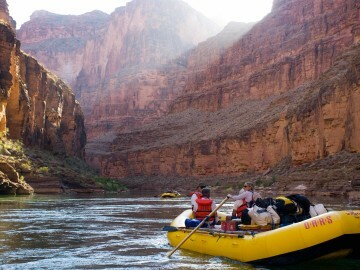 pump through the Grand Canyon’s 277 river miles and 160 rapids. 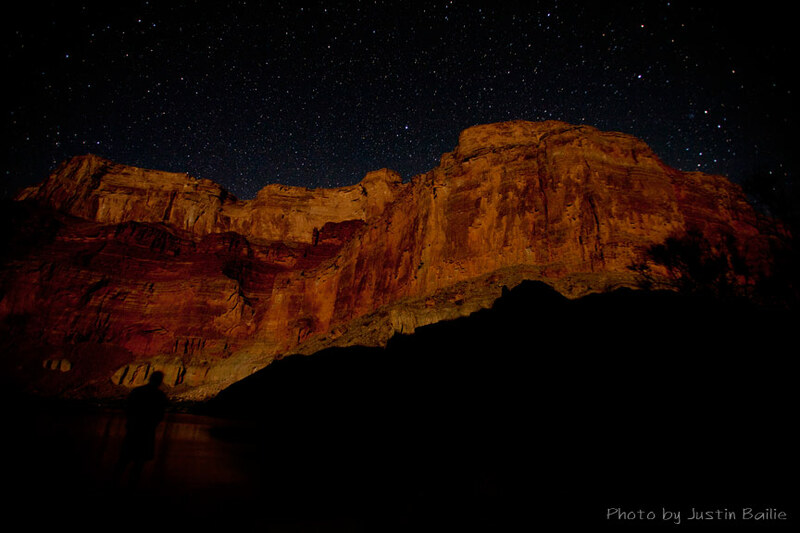 The north rim is 1,200 feet higher than the south rim, so don’t curl up in your sleeping bag close to the edge because the Grand Canyon is technically tilted. 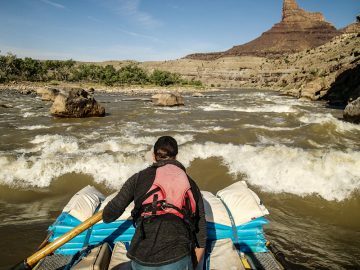 John Wesley Powell, the famous explorer who led the first expedition down the Colorado River through the canyon in 1869, is responsible for giving the Grand Canyon its name.